Every day during the Garden State Horse Show, the judges will select a recipient for The Style of Riding Award, sponsored by Le Fash. Le Fash will award a $150 gift certificate toward a purchase of product from their modern equestrian apparel brand. Le Fash pieces can be worn in the show ring in Palm Beach or on the streets of New York, making a statement equally both on the horse and off. Stop by the Le Fash booth at Garden State Horse Show and shop their beautiful and line. Go to lefashny.com for more information. The judges will also be on the lookout to recognize those competitors who exemplify great sportsmanship with the daily Sportsmanship Award, sponsored by Lineage Equine. A new pair of Lineage Equine stirrups will be presented to each day’s top sportsman. Lineage Equine stirrups are high quality, durable and lightweight, crafted from premium aluminum and feature a wide footbed and strong grip system. Lineage Equine produces products engineered for riders by riders and made in the USA. For more information about Lineage Equine visit lineageequine.com. Der Dau, known for their world-class, custom-made boots, will present a $500 gift certificate to the Garden State Horse Show’s Leading Hunter Professional and another $500 gift certificate to the Leading Jumper Professional. Der Dau was established over 50 years ago in New York, by master craftsman, Jose Der. The company built its exceptional reputation by using the traditional techniques of master leather artisans and hands-on customer service. Visit Der Dau at the Garden State Horse Show and learn more at derdau.com. The lucky winner of the USHJA National Hunter Derby, sponsored by Eastern Hay, will receive a tack trunk compliments of Sea Horse Tack Trunks. Sea Horse will also provide gifts through 10th place. Sea Horse Tack Trunks produce hand-crafted tack trunks and other equestrian wood products and are based in Farmingdale, New Jersey. The winners of the $10,000 Stal de Eyckenhoeve Hunter Derby will receive custom wall boxes from Autumn Elizabeth Apparel. Autumn Siliato, the owner of Autumn Elizabeth Apparel, is a senior in high school and an entrepreneur. A portion of the proceeds of her sales goes to children with cancer and blood disorders through The Valerie Fund at The Unterberg Children’s Hospital at Monmouth Medical Center in Long Branch, New Jersey. All division champions will receive $50 gift certificates or product from The Clothes Horse, Mona’s, Wild Horses, Charles Ancona, J. Hilburn and Horse Scents. 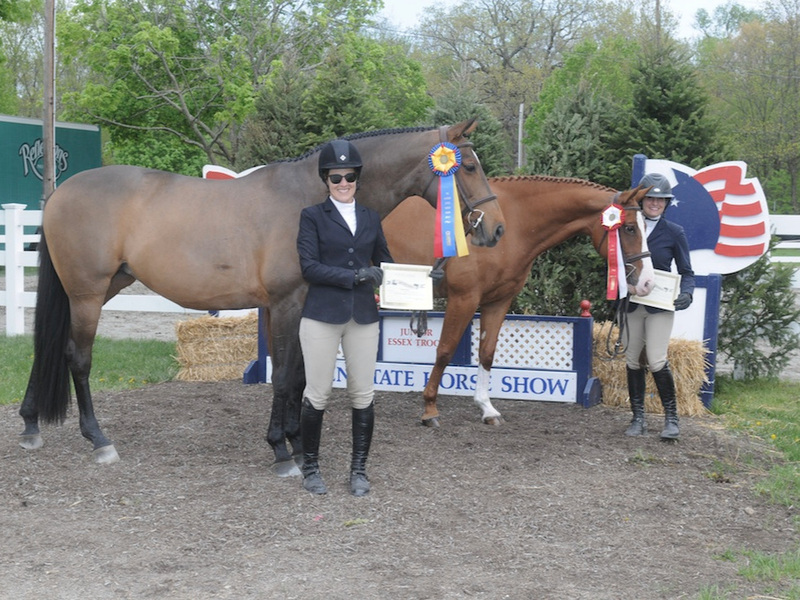 Every class winner will receive a $20 gift certificate to one of these Garden State Horse Show retailers: Boot & Bridle, Outlaw Outfitters or JOTT. To enter click on the button below or go to horseshowing.com. At Garden State Horse Show, exhibitors will enjoy the amenities of the world-class facility, including top-notch footing, welcoming hospitality and great shopping.